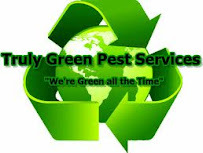 Pest control is an essential component of home maintenance. Employing home pest control services will ensure that your home is safe from pests that could pose a threat to the health and comfort of your family. If you are not sure, or suspect you have termites, don’t wait until more damage is done. Get a pest inspection if you notice anything worrisome or out of the ordinary. Termites (also known as white ants) enter the home through hairline cracks in concrete slabs, through cavity walls, and through areas near plumbing and electrical conduits. They can also enter through the soil. If your home has a chemical barrier around it through the soil to deter termites, the soil will need to be re-treated every five to ten years.INITIAL INSPECTION & REPORT requires a complete thorough inspection of the buildings and surrounds, and a detailed written report on areas inspected, evidence found of termite activity, high risk termite entry areas inaccessible to inspection and termite control options and limitations thereto. Recommended as essential. Alpha ecological Pest Control will always consider using non toxic methods if practical, suitable and cost effective. These can be applied much the same way as any other insecticides, only eliminating the risk of harm to the environment. The same methods of application as insecticides those being sprayer and fogger. Anobium borers, also called Furniture Beetles or scientifically Anobium punctatum, can cause severe damage to Baltic pine timber flooring, particularly in older houses with damp flooring timbers caused by poor sub-floor ventilation or moisture control. (1) in severe cases, the removal and replacement of all damaged and infested timber with highly resistant or chemically treated timbers or particle board, which can be a very expensive undertaking. Improvements in sub-floor ventilation may also be recommended. We recommend you contact a professional who has the equipment and technology to solve the problem. Termites are highly effective timber destroyers. Your home could have termites without you knowing it. What makes matters worse, home insurance does not cover the damage, which could amount to tens of thousands of dollars. RECOMMENDATION: Obtain a termite inspection documented report to assess the risk of infestation and cost of preventative measures.